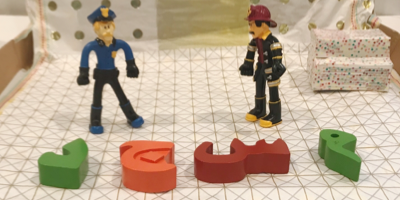 It was inevitable, we had to do a preschool themed community helpers unit and I wasn’t ready for it. I have a daughter who wants to be a nurse and a son who can’t decide between becoming a fire fighter and a waste collector so I knew the pressure was on to make sure that this unit was allot of fun for them. We all know the most important figures in our communities are police office officers, firemen/woman, construction worker, nurses and doctors. While my preschoolers loved learning about them there were a few helpers and important figures in our community that we hadn’t spoken about. The Imaam, Muathin (caller to the prayer) and Ustadah (the Islamic school teachers). It almost always starts with a book, a book that sparks a conversation on who does what and gives the correct name to everything. For us it was Hassan and Aneesa go Masjid and What’s inside a Mosque? Alhamdulilah for a quick trip to the masjid and Islamic school in our neighborhood. We also had a chance to go to a truck event, where the kids got to experience what it was like to get inside a firetruck, police car, garbage truck, ice cream truck (…and more) and meet their drivers. But if that’s not an option a visit to your local fire station, police station and hospital will suffice. Small box to turn into a minbar (where the imaam stands to give the khutbah). The first thing you must do is cut out a dome and minerate. I used a plate to draw a circle in the middle and only cut half of the circle (on the top) and ‘eyed’ the minirates (two straight rectangles) of both sides. Then the fun begins with decorating the masjid. Use the tissue paper (you can get it inexpensive at craft stores, target but the cheapest I found is here Amazon) and washi tape to do that. For the minbar, use a small box, I used a tablet medicine box cut into two and stacked on top of each other. You can’t see it because the washi tape keep it together and made it look nice. All you need to do next is get all the mini figures you have a let them pray jamaa’ah. I have witnessed the kids call out the athaan, give a khutbah and argue where the woman side of the masjid is (lol #real life problems). We discussed that woman can pray behind the men, that all we needed was two separate entrances. 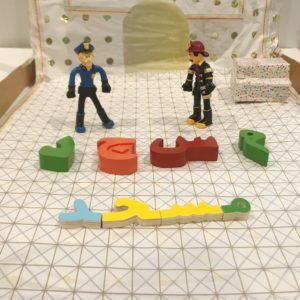 We have also used our Thinker Nation Arabic puzzles allot and we were able to create our own words as well as use the puzzles to match the first letter in the community helpers names. And there you have it, a different kind of community helpers preschool unit but fun never the less. I hope you enjoyed it and if you try the masjid craft tag me on social media @themuslimahguide insha Allaah or comment below. As always do share it with whoever you think will enjoy this Community Helpers preschool unit. 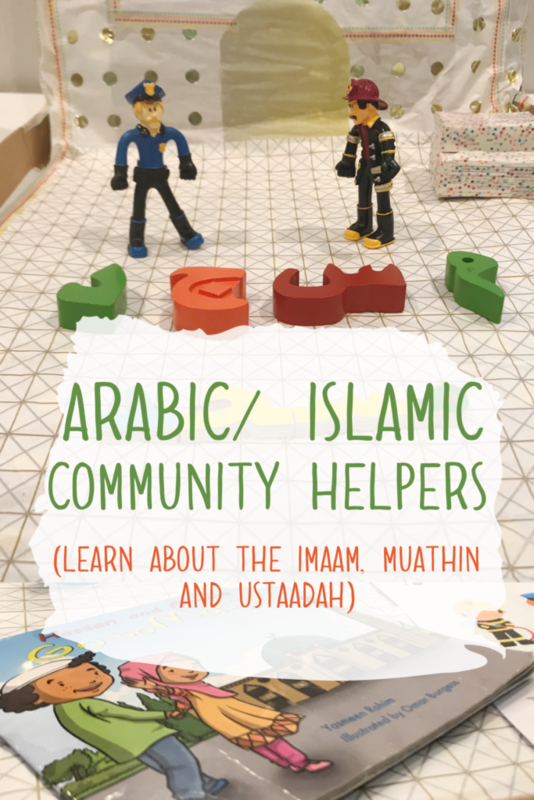 P.S if you want a list of free printable worksheets for a community helpers unit signup below and I will email it to you straight away insha Allah. Assalaamu ‘alaykum I love this mashaAllah. 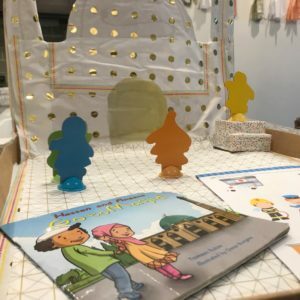 An Islamized lesson on community helpers, this is great work sis! I’ve just launched a marketplace for educators like yourself to sell faith-based learning resources. Not sure if I can leave the link, you’re free to delete it inshallah, but its makkahcentriceducation.com. Masha Allah, this looks like so much fun, I want to be in your class. The children must really love learning this way. Thanks for sharing. Masha’Allah. I love your exploration and consolation process from reading, to dialogue, to field trip, to craft. Taught by the pen, micro to macro, multi-sensory, memorable, fun creative learning, subhanAllah. May Allah bless you and your children, ameen. Oh Masha Allah really creative ❤ Gonna share it with my friends & family. Loved it! wow this is too coo! 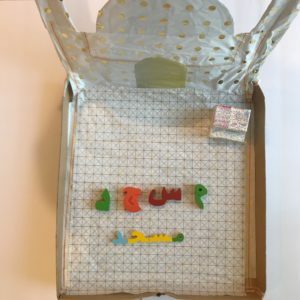 I love crafts especially recycled ones – as a Homechooler I can us trying this one out! 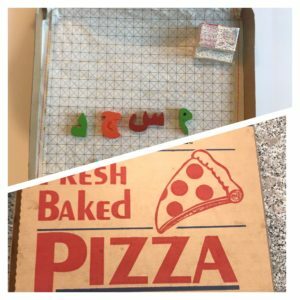 and the best thing is I didn’t throw our latest pizza box away! thank you so much for sharing! This is so amazing MashaAllah! We so often forget the community helpers amongst our community itself. JazakAllahu khair for sharing this gotta try it with my son.